Activists in Afghanistan held a candlelight vigil to remember victims of a deadly suicide bombing outside a voter registration centre in the country's capital, Kabul. Activists also demanded better security after the April 22 attack killed at least 57 people and wounded 119 in a heavily Shi'ite-populated area of western Kabul. The Islamic State (IS) extremist group claimed responsibility for the attack. In the past the Sunni militant group has frequently targeted Afghanistan’s Shi'ite minority. 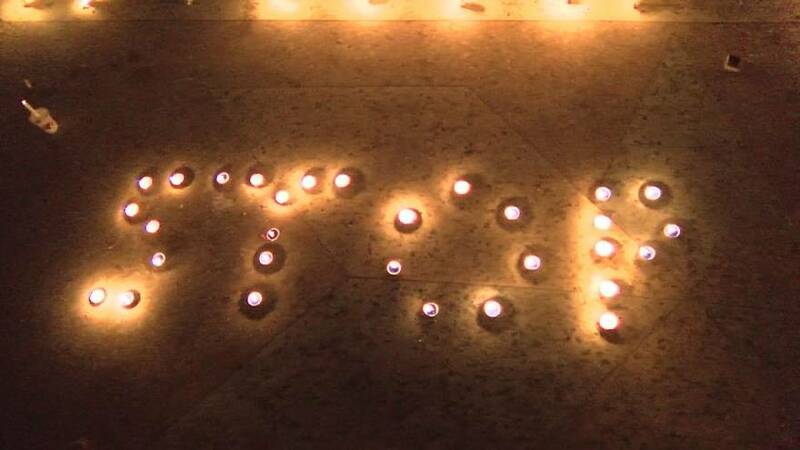 Using candles, activists spelled out the words "Stop Genocide". The April 22 suicide bombing was the latest in a series of attacks on Afghan voter registration centres ahead of parliamentary elections scheduled for October. Competitors raced uphill with heavy sacks of charcoal at a quirky contest in the UK.